On Saturday mornings, residents of Cremona, a tidy city of 72,000 crowd into a former market for fruit and vegetables in order to donate old clothes and housewares or pick up a used toy or book. Second-hand markets are nothing new, of course. But the one here, inaugurated a year ago and known as the Centro del RI–USO, is part of a much larger and very forward-looking local policy on waste management that seeks to reduce what residents throw away and increase what gets reused and recycled. The city has made recycling easier by implementing door-to-door collection. That’s still quite unusual in Italy — in Rome, residents must take their paper or glass to special bins on the street. In Cremona’s city center, residents put paper in bins outside their buildings one day and plastics, glass or organic waste on other days. Vehicles of different sizes make the pickups — smaller vehicles are used in the narrow streets of the city center. 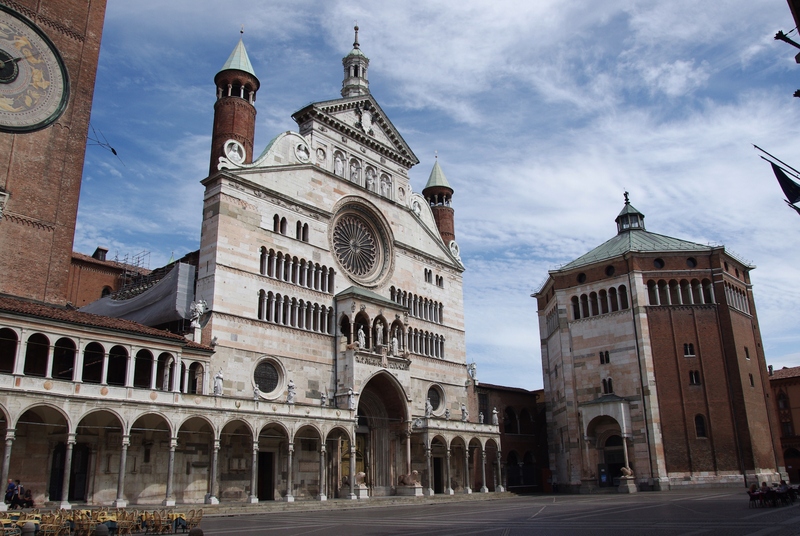 Cremona is also testing the introduction of a tariff on the waste that can’t be recycled. In two neighborhoods, the city gives residents orange 60-liter trash bags; the more bags residents put out, the higher their trash collection fees. The idea is to send residents a price signal that encourages them to reduce the amount of material they throw away. Reducing waste is serious business in Cremona. There’s a deputy mayor in charge of promoting a circular economy here, Alessia Manfredini. She works on communicating with residents to foster behavioral changes, such as properly separating recyclables. And she’s led Cremona officials on tours of recycling centers across Northern Italy. “The comparison with other cities was important for us in order to better define our strategies and actions in the field,” Manfredini said. It also helped the city connect with broader waste-related initiatives and funding streams across Europe, she said. 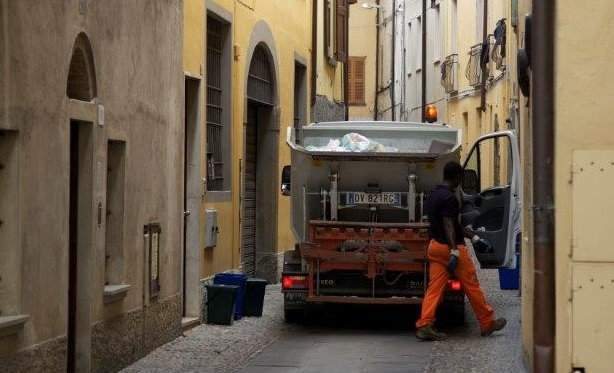 This local commitment toward dialogue with other cities, as well as universities and research centers, pushed Cremona to lead a larger European project on waste-management strategies. It’s called UrbanWINS, and it’s financed by the European Commission. Launched in July 2016, the project is analyzing current strategies for waste prevention and management in 24 European cities (Bucharest, Turin and some municipalities near Rome are among the pilot cities) with the objective of highlighting the most innovative plans. The three-year project, also involving global networks such as ICLEI-Local Governments for Sustainability, as well as various European universities, NGOs and the Italian Institute of Statistics, will study the “urban metabolism.” That is, it will look at how materials flow through cities and seek a better understanding of what gets produced, consumed and discarded. The main objective of the project is to help local governments define more holistic strategic plans that not only deal with waste more efficiently but also prevent waste from being created in the first place. One tool expected to be developed is a model that demonstrates material flows in different kinds of urban contexts: big cities; small ones; industrial centers; or historical places. One focus area is in the schools. Since 2014, the city has hosted an annual competition called Piccoli Passi, or “small steps.” It’s aimed at fostering sustainable behaviors among students and administrators. Lesson plans about recycling begin each year in March. In May, an official measurement of recycling at each school begins. The schools are ranked and children at the schools that do best get rewards. Another part of the schools competition focuses on reducing food waste in canteens. The city is also taking aim at food waste in restaurants. In Italy, it’s unusual for restaurant patrons to bring home any leftovers from their meal — it’s seen as a sign of hunger or poverty. So uneaten food ends up in the trash. Cremona is working on changing that attitude through a campaign called Tenga il resto, or “keep the rest.” The city has distributed 100,000 recyclable containers to two dozen restaurants, in hopes of convincing patrons that bringing leftovers home is the right thing to do for the environment. 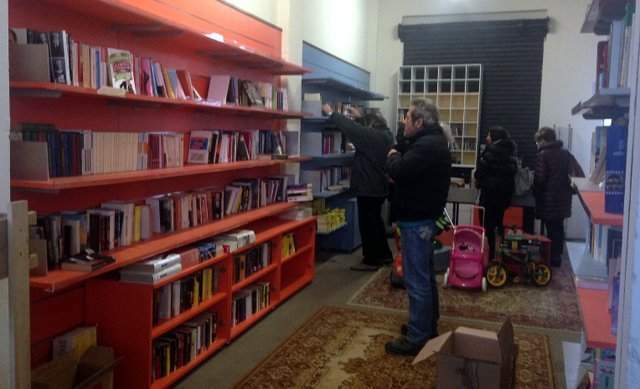 Cremona is also looking to strengthen the role of the Centro del RI–USO, which is managed by a community group called Amici di Emmaus. It’s intended not only as a second-hand market but also as an incubator for practices of urban sustainability. For example, there will be trainings for children and families on how to reduce the amount of materials they consume. A group that promotes purchases of foods and goods produced locally or through “fair-trade” supply chains also will host meetings.